I love legumes in all the colors of the rainbow. 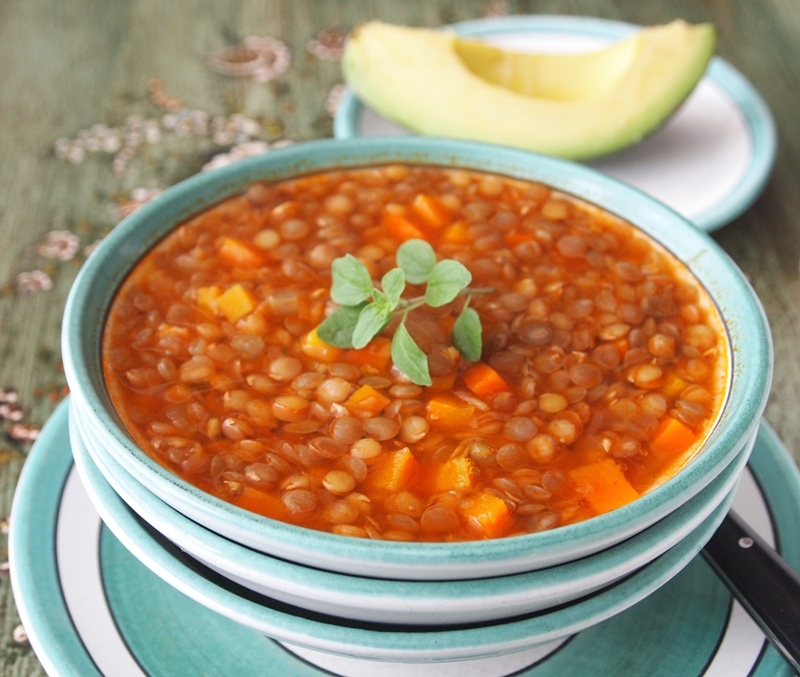 This comforting lentil soup is one of my favorite ways of eating them, and if I could, I would have it for dinner every night. 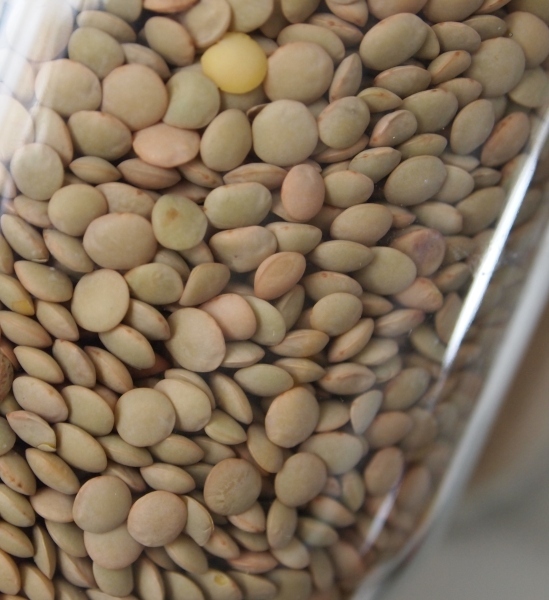 Not only are they tasty and healthy, but lentils are also supposed to bring good luck and abundance to your life. In some countries it is believed that you should have a huge lentil dish on January 1st, to assure yourself a prosperous year. I may or may not believe all this, but the real reason why I eat them so often is simply that I like the earthy flavor and texture of these legumes. At home, we love having this heart warming vegetarian lentil soup with lots of veggies, but sometimes a little chopped bacon is a nice addition that gives the lentils an intense smoky flavor. 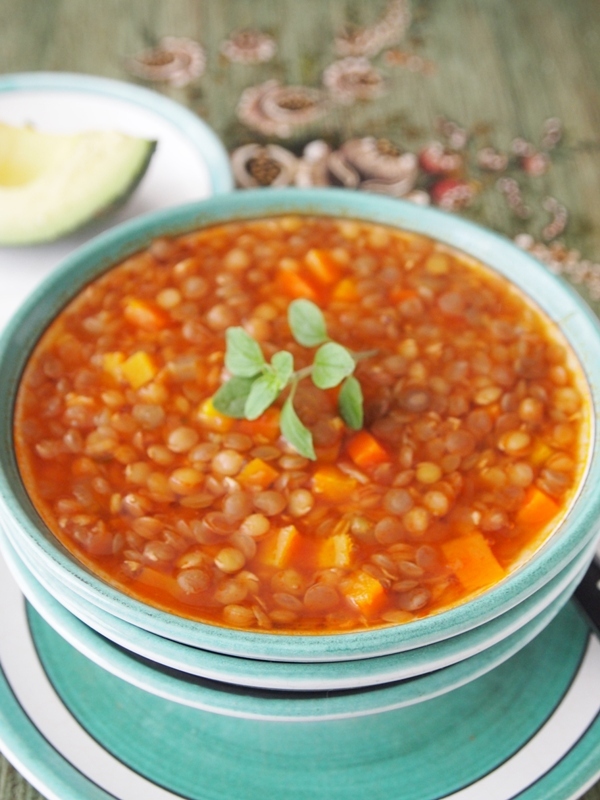 I´ve tried hundreds of variations of this simple lentil soup. Sometimes with fried morcilla (blood sausages), or cooked with a ham hock, which adds lots of flavor. 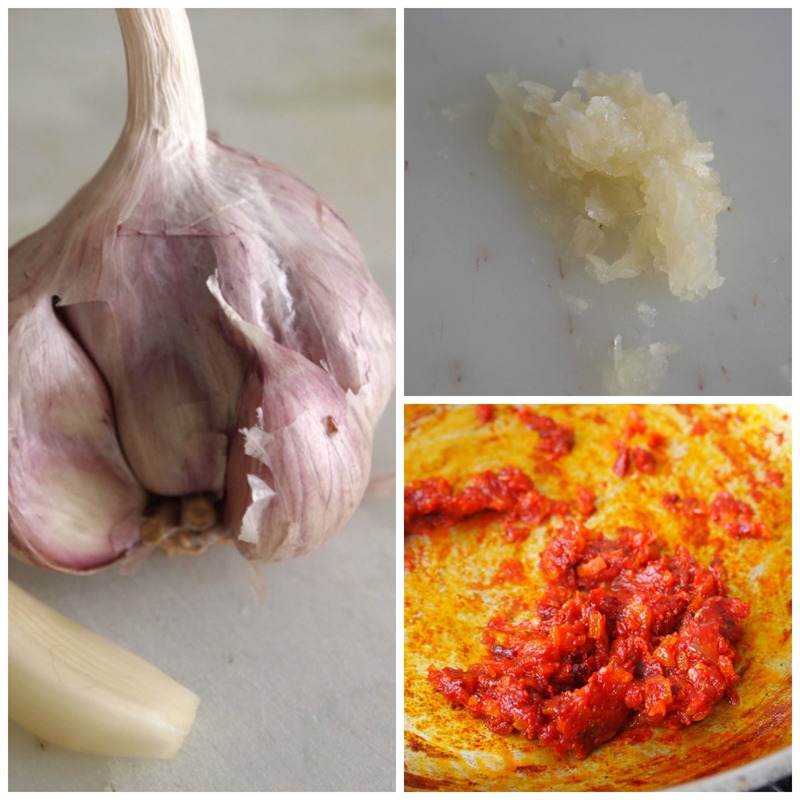 Herbs also play an important role flavoring the soup. Feel free to add parsley, chives, cilantro or fresh or dried oregano. Bay leaves are a must, and to tell you the truth, I use them not just here, but in most of my dishes. I even have my own plant in a pot, so I don´t need to buy leaves in the grocery store. You can freeze any leftover lentil soup for several months to use later. Or you can make tacu tacu, substituting the beans with lentils. Another simple idea is to drain the soup and serve the lentils with a fried egg on top and rice on the side. 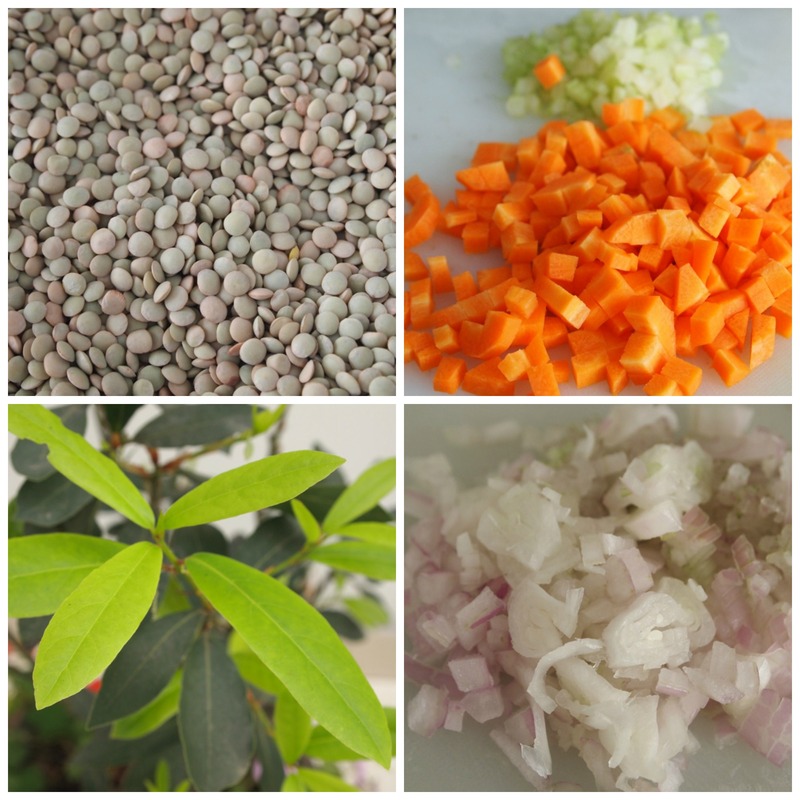 Here you have our basic lentil soup recipe. You may add any diced vegetables of your choice to make it a complete, colorful meal. Put the lentils in a saucepan with vegetable stock. Bring to a boil over medium heat. Turn the heat to low, add celery, carrot, and bay leaves. Put the lid on and simmer for 20 minutes. In the meantime, heat the vegetable oil in a skillet over medium heat. Add onion and garlic, and cook stirring frequently for about 7 minutes. Do not let them brown. Add tomato paste and cook for two more minutes. Pour this mixture over the lentils. Season with salt and pepper, and continue simmering until tender, adding more vegetable stock or water as needed. Serve in bowls with rice, avocado, and chili sauce. 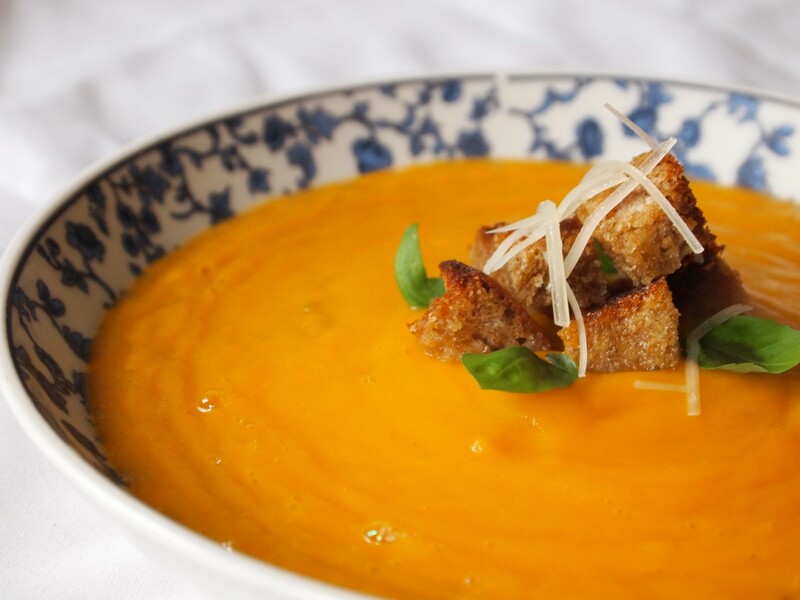 It´s Time For Cazuela #Meatless Mondays: Squash Soup #MeatlessMondays – Crema de zapallo (squash soup). Healthy seasonal eating.